Stylish coffee table and side table with a unique combination of wood and metal for a distinct lightness. Compose comes in two sizes and brings Nordic aesthetics into your home. The large table is perfect as a light and elegant coffee table, while the small table is the natural choice as a side table. Both as a supplement in the living room where an extra beautifully designed, high-quality table is always a joy or as a stylish night table in your bedroom. 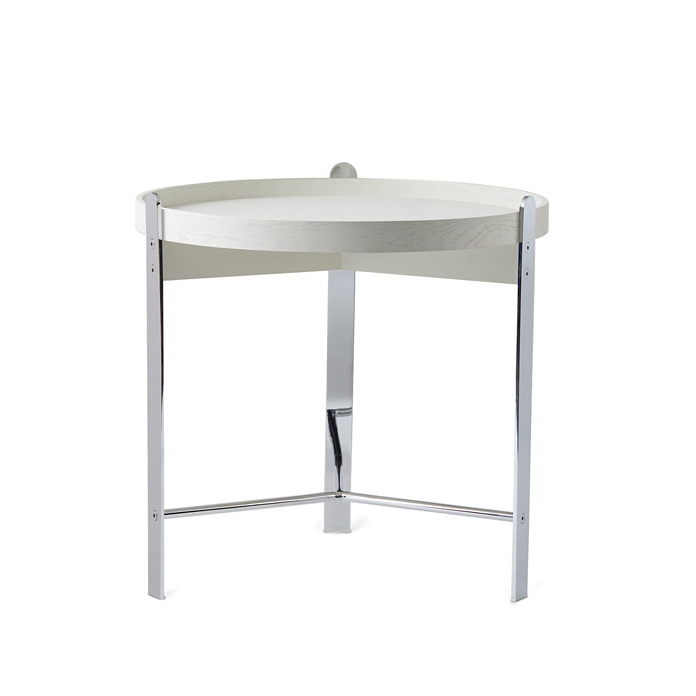 The tabletop is made of wood with texture and warmth, while the coloured metal frame comes with beautiful chrome and brass details for an exclusive look. Choose between different finishes and colours from the Warm Nordic universe. The metal frame comes in different colours. The Compose table is characterised by its unique combination of wood and metal. 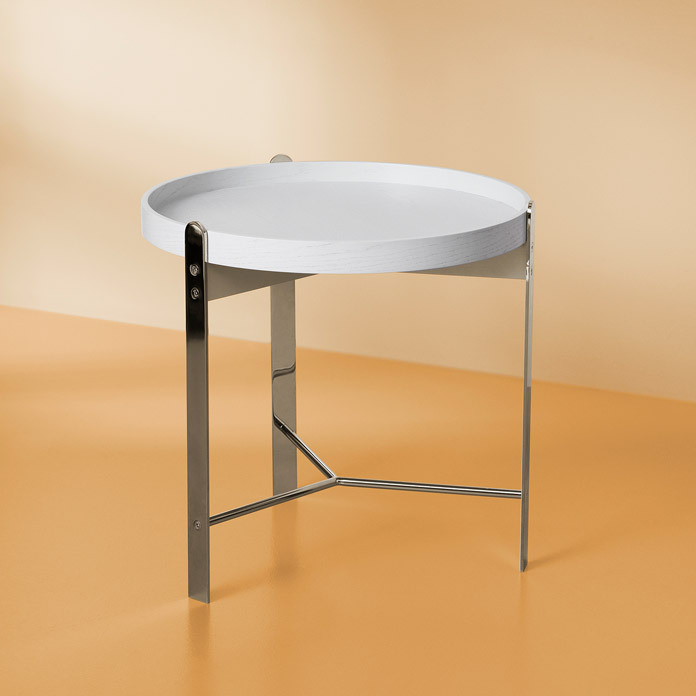 The design is reminiscent of the classic tray tables; only here, it comes in a modern version with industrial undertones. The Nordic design and exclusive choice of material make the Compose table designed by Charlotte Høncke the obvious companion for iconic furniture classics and new designs.